La talla que has seleccionado no se encuentra disponible en este momento. Si lo deseas, introduce aquí tu dirección de correo electrónico, y te notificaremos cuando esté disponible. Thank you for trusting the Baskonia Alavés Online Experience Store. We'll email you to this address as soon as we get new stock for this product. Pack composed of 4 wristbands. 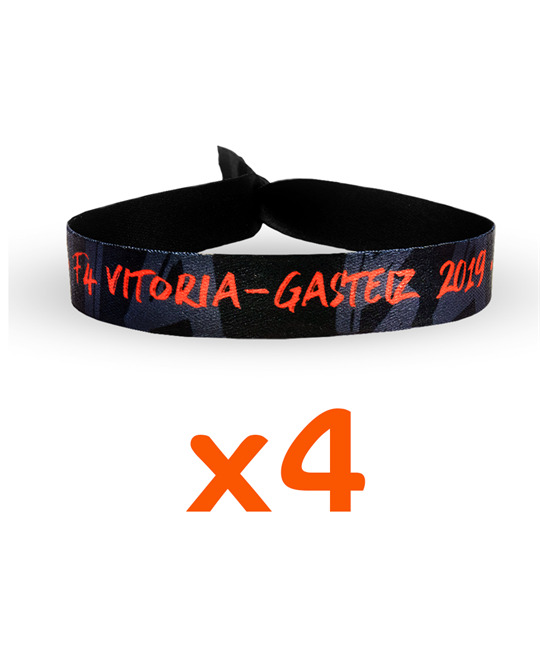 All the money collected with the wristbands, will go to the purchase of balls for the more than 300 base sports teams of all the clubs in Álava. Sorry, unable to save e-mail address.